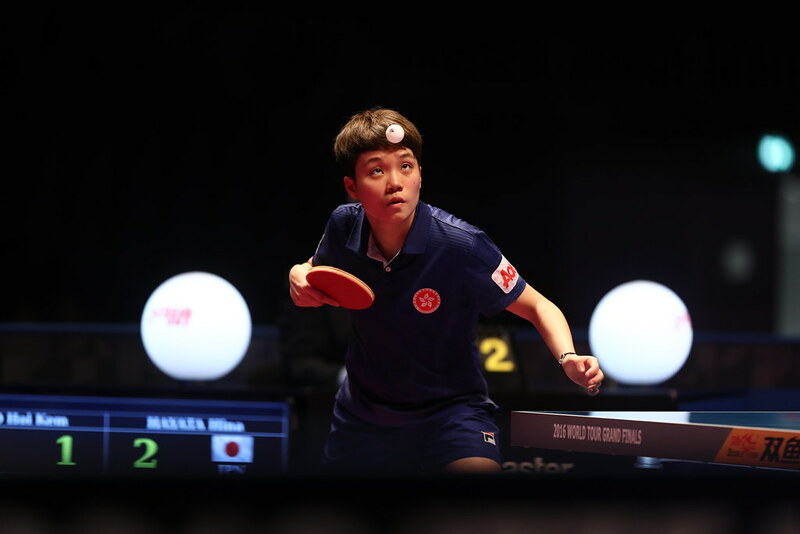 Winner at the Paraguay Junior and Cadet Open earlier in the year, Brazil’s Carlos Ishida, alongside Canada’s Jeremy Hazin emerged as the surprise semi-finalists in the Boys’ Singles event at the 2017 ITTF Pan American Junior Championships in Buenos Aires, Argentina following the close of play on Saturday 24th June. Two surprise names, the other two names to reach the penultimate round were no surprise at all; Kanak Jha from the United States and the host nation’s Francisco Sanchi, the respective top two seeds, reserved last four places. It was at the quarter-final stage of proceedings that Jeremy Hazin and Carlos Ishida caused upsets, both recorded hard fought six games wins against adversaries from the United States, players who had been instrumental in the Boys’ Team success earlier in the week. The no.7 seed, Jeremy Hazin beat Jack Wang, the no.4 seed (11-8, 9-11, 7-11, 11-6, 11-7, 13-11); Carlos Ishida, the no.8 seed, overcame Victor Liu (5-11, 7-11, 11-7, 11-6, 12-10, 12-10). Earlier, Jeremy Hazin had accounted for Argentina’s Mariano Mendez (12-10, 11-4, 11-3, 11-5) and Peru’s Rodrigo Hidalgo, the no.16 seed (11-9, 11-8, 11-6, 11-9). Similarly, Carlos Ishida had ousted Peru’s Felipe Duffoo (14-12, 11-6, 11-3, 11-6), prior to ending the aspirations of the Dominican Republic’s Mariano Lockward (11-7, 12-10, 11-5, 11-6). Defeats for Victor Liu and Jack Wang; there was one more disappointment for the United States; after having overcome Puerto Rico’s Gabriel Perez (11-4, 10-12, 11-5, 11-8, 12-10), Sharon Alguetti, the no.5 seed, was beaten by Chile’s Nicolas Burgos, the no.9 seed (8-11, 11-8, 12-14, 11-4, 11-8, 11-8). Success against the odds for Nicolas Burgos but the progress was short lived; in the next round he was beaten by Francisco Sanchi (11-8, 6-11, 11-6, 11-5, 7-11, 11-8). Earlier, Francisco Sanchi had beaten Jorge Paredes, like Nicolas Burgos from Chile (11-8, 11-9, 11-6, 9-11, 11-5), prior to overcoming Brazil’s Eduardo Tomoike, the no.13 seed (11-5, 9-11, 11-3, 11-7, 11-7). Problems for the United States, not for their leading player, Kana Jha; in style he flew the flag of the Stars and Stripes. After having beaten Peru’s Adolfo Cucho (11-3, 11-8, 11-5, 11-6), he accounted for Argentina’s Martin Bentancor, the no.11 seed (11-6, 12-10, 6-11, 12-14, 11-6, 11-8) and Brazil Siddharta Almeida, the no.6 seed (11-6, 11-6, 13-11, 11-3) to reserve his place in the last four. At the semi-final stage Kanak Jha meets Jeremy Hazin, Carlos Ishida opposes Francisco Sanchi.